Please join us in the last opportunity to see 6th Bangkok Experimental Film Festival: Raiding the Archives (BEFF 6) & Patty Chang & David Kelley: Route 3. Viewed together, Patty Chang & David Kelley’s video installation and the BEFF 6 program make a perfect study of the complicated position of experimental film and video art in 2012. Presenting a cross-section of expanded cinema, video art and hand-made film, they demonstrate the contested roles of the filmmaker-as-artist and the artist-as-filmmaker presently playing out in the cinema and the art museum. Joel Stern (OtherFilm) leads an open discussion of past and present transgressions of the moving image in Australia and Asia. Where is experimental film at in 2012? And what is its relation to video art? MAAP presents FADE IN: EXT. 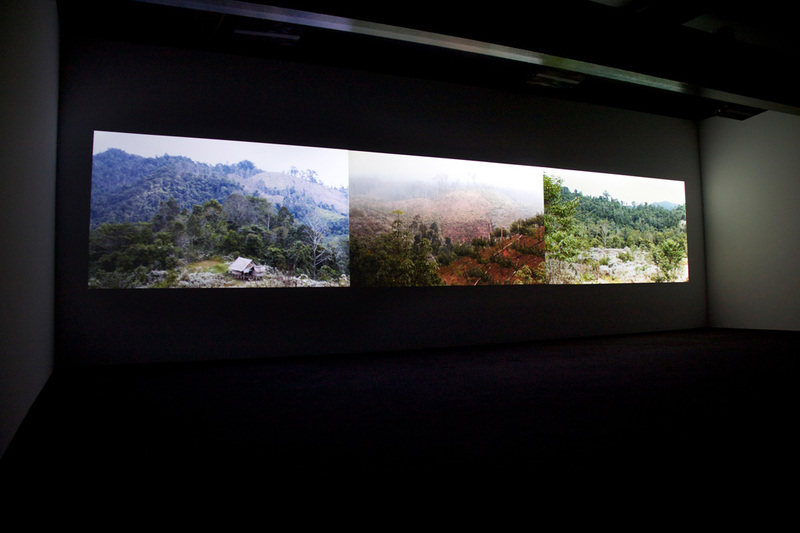 STORAGE – CU CHI – DAY (2010), a video installation by Superflex with The Propeller Group (as part of BEFF 6). When Danish collective Superflex attempted to ship an assortment of historic art objects from the Zeeuws Museum in Holland to Vietnamese collective The Propeller Group, the artifacts, including fake ‘toy replica’ wooden guns, were seized at Ho Chi Minh City. The artwork traces backwards the European trade route that transported much of the Dutch museum’s prized porcelain collection from the Chinese Empire in the 17th century. Realised after a one-year artist residency at the Zeeuws Museum, the work raises questions of colonial history, authenticity and piracy.